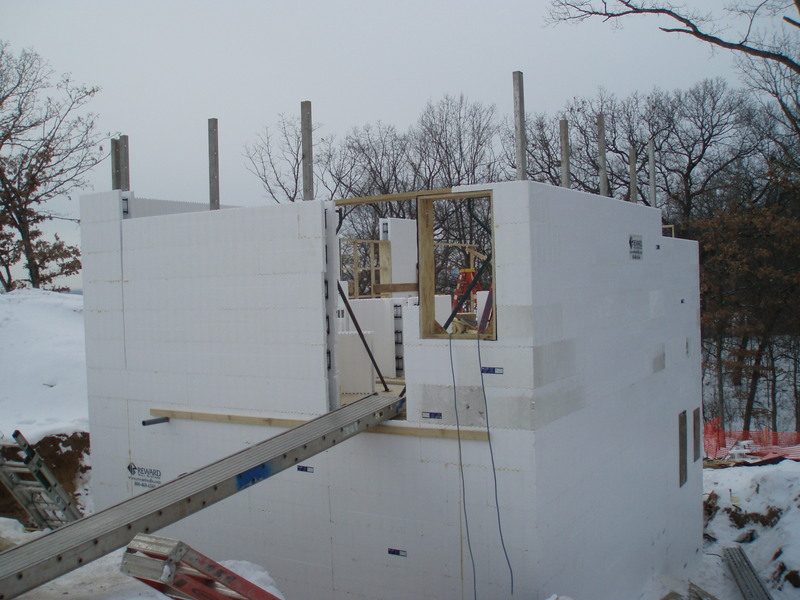 The first week of January marked the construction of the first floor building envelope. 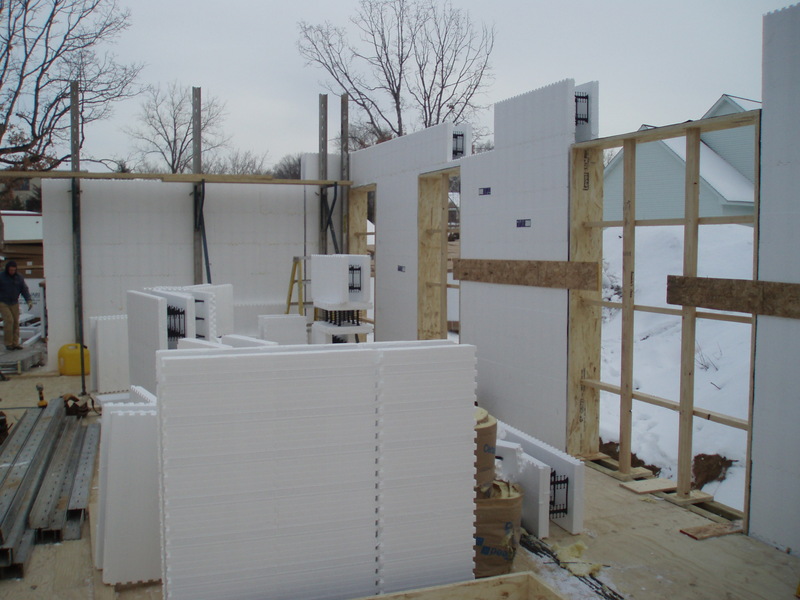 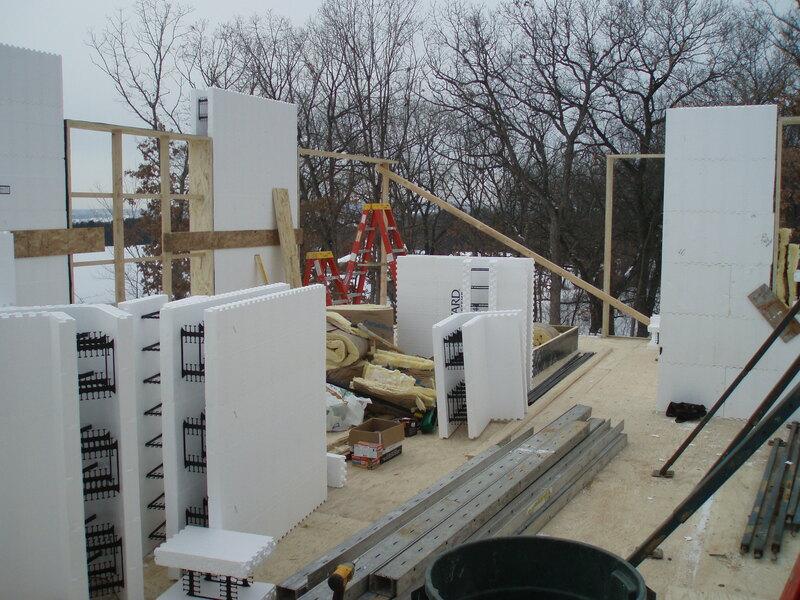 The pictures show the exterior ICF walls and window openings. 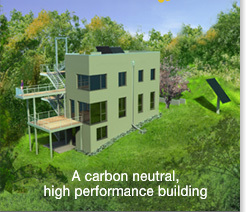 We use FSC-certified timberstrands as window bucks. 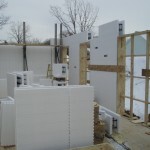 They are laminated with ice and water shield on the side facing the concrete pour. 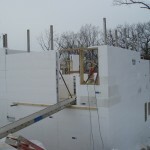 The southwest facing corner window framing already shows a glimpse of what the views out of the finished windows will be. 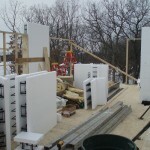 © 2010 TE Studio, Ltd.